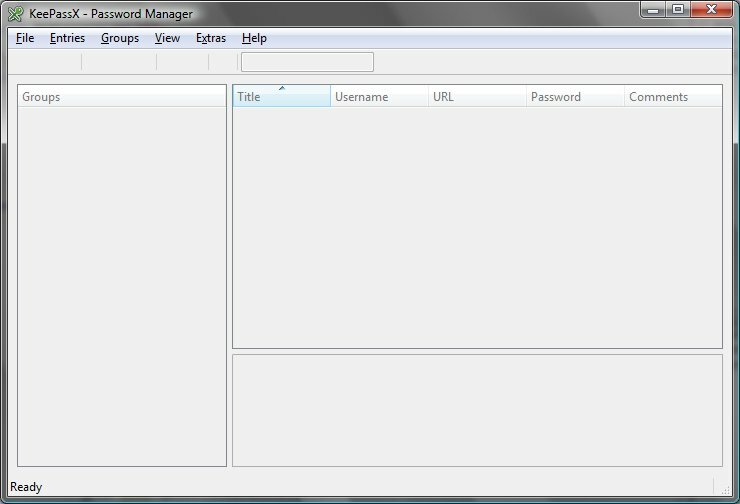 I have been using KeePass (on windows) and KeePassX (on linux) as my main password manager tool for some years now. It’s simple to use and does the job well. However, there does not seem to be a version for Meego/Harmattan. I would think that porting the tool to N9 would not be too difficult. 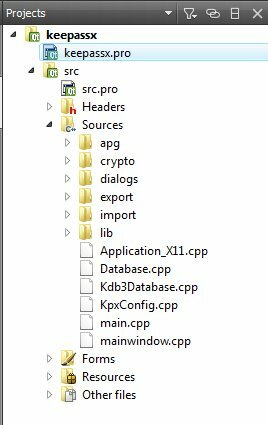 The source code for KeePassX is available and it is based on version 4.8 of the Qt libraries which are also included in the Nokia QtSDK. 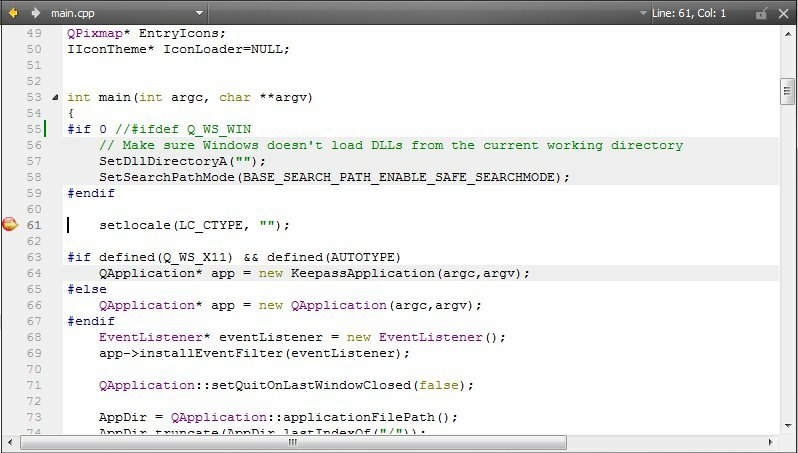 Basically we would just need to replace the Qt widget based user interface with a QML based one. The source code for KeePassX can be downloaded from the official KeePassX website: https://www.keepassx.org/. I will use the v0.4.4 code base as my starting point because I’m currently using v1 database format on other platforms. The source code is provided as a gzipped tar file (keepassx-0.4.4.tar.gz). After unzipping and untaring I can open the project in QtCreator. After this change we can set a break point to the main function and start stepping through the code to see what actually happens. To step one line forward just press F10. It is also useful to see the variable values. Just select Windows>Views>Locals and Expressions. Now when stepping through the code we can see the local variables and their values. Looks like there are also some global variables, e.g. variables called AppDir and DataDir look interesting. Let’s also include those to the variable list. This can be done be right clicking the variable name and selecting: Add to Watch Window. So now I can go on and start exploring the existing source code. I can put break points to the code and step through the code to see how it works.